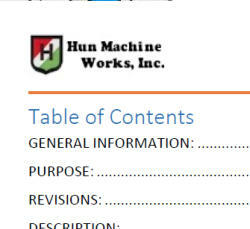 Technical Writing and Documentation HUN Machine Works, Inc. 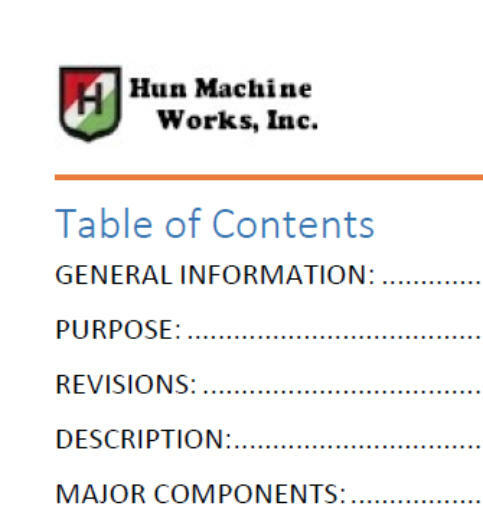 Expanding your manufacturing and engineering resources. 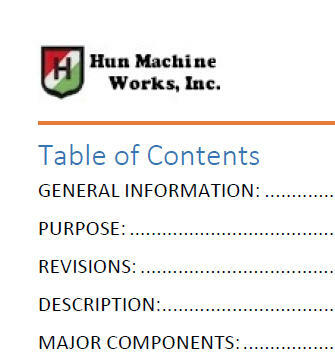 HUN Machine Works, Inc. technical writing and documentation can give your product, service or HUN Machine Works, Inc. design the competitive edge with your customers. 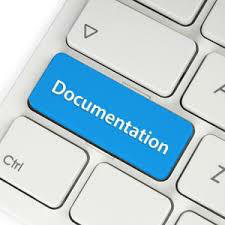 • Product Specifications • Factory Acceptance Documents (FAT, DDS, Etc.) 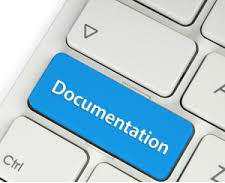 • Operator’s and Maintenance Manuals • Brochures and Flyers Contact us for more information.